Here’s another gig poster I did (this time for a gig that’s already passed, because I’ve been so slack about updating this blog). 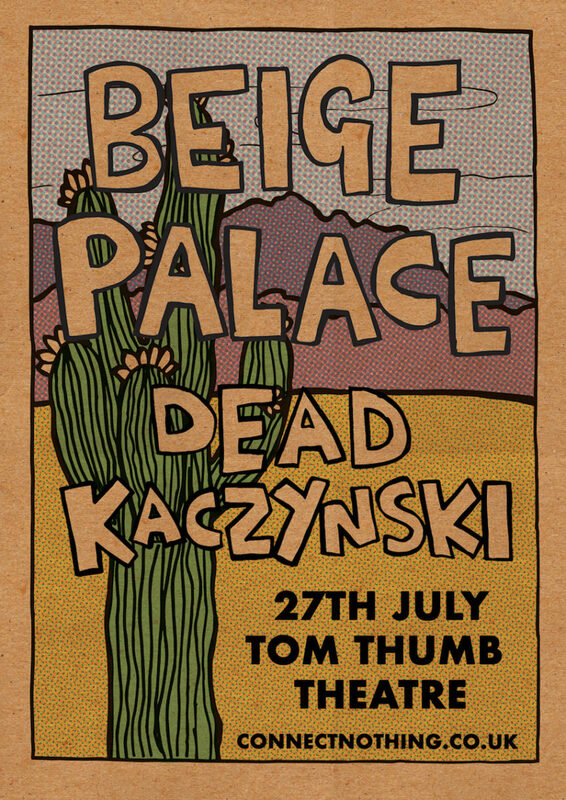 Two mates’ bands- Beige Palace from Leeds and Dead Kaczynski from Medway. There was a huge storm in the middle of the heatwave that evening, and it took Beige Palace seven hours to do the three-four hour drive from Yorkshire, and the audience was smaller than you would have hoped due to the weather, but both bands played great sets (and are keen to come back to Margate). Enjoy the EPs below.